Encouraging social sharing among your customers and fans can be a great way to extend your online reach. This article is a good reference to all the different types of share and follow buttons you can create for the major social networks. I used to recommend plugins for this but most of them have gotten so bloated with extra features that they can slow load time quite a bit. I changed over to just using a simple icon image and links created via each social network's documentation which is what this article covers. I talk about copywriting in some depth in Episode 19 of the StrongStart podcast. In that episode we break down the different parts of a blog post and provide tips for optimizing the copy of headlines, subheads, body text, etc. This article takes a different approach and talks about the attributes of good copy overall. There are several great examples included which are then analyzed. This is a very unique article. It takes a number of topics that would normally be in a post about SEO like site structure, permalink structure, layout of pages and instead covers them from the perspective of Google Analytics. The article shows that by structuring your site properly, it makes it far easier to see what traffic is doing on your site using Google Analytics. Instagram… The social network I should do more with but never have the time! Maybe tools would help? This article lists 24 tools for doing more with Instagram. Some of them are tools to improve your images, some cover scheduling, and the more for analytics. I have started using Iconosquare which is one of the best for analytics and influencer search. Will be checking out some of the others. Here's another tool list but all of them are free or the free version of paid tools. These tools are for social media monitoring and follower management. Some of the expected names like Hootsuite are in here but there are also some others that I had not seen before. Here is a tool list post where all of them were new to me. This list covers 9 free video editing tools. Some of them are bare bones and just let you cut and slice up your video files. This is a good thing, as high-end tools like Premier Pro can make it complicated to do even simple tasks sometimes. Some of the other tools in this list provide more advanced features while still being free. Good finds in here! An interesting article about what can be acheived in online business. Ramit is obviously a big name in this space and in this article he breaks down how a large portion of his revenue comes from his top 1000 fans, as discussed in the famous quote by Kevin Kelly. Now when you have hundreds of thousands of people on your email list and a very mature business like Ramit does, of course those top 1000 will be high revenue. But it is interesting to see real numbers here which go beyond a lot of the basic income reports some folks publish. Promoting affiliate products is still one of the most effective ways to make money from your blog. Jayson DeMers points to affiliate marketing as an excellent entry-level place to begin monetizing your blog in this Forbes article, because it is easy to implement and free to start up (just taking a bit of your time). The headline had me thinking this might be a simplistic article but it has some decent depth to it. The article covers choosing the right products to be an affiliate for, how to promote them, and how to grow your portfolio of affiliate products over time. 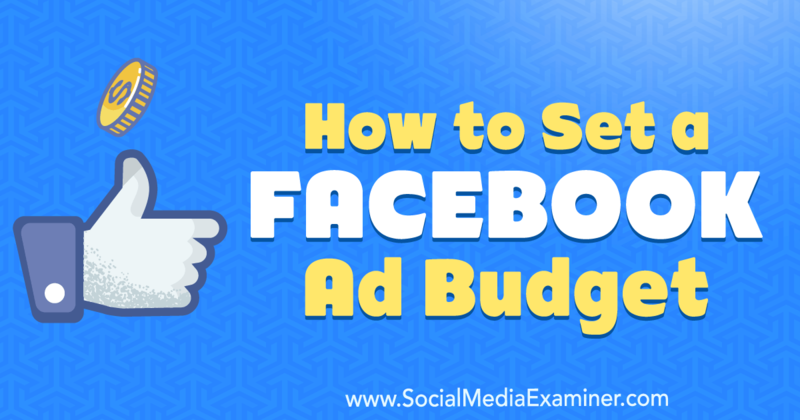 This is a fairly basic article but if you struggle with how to determine and setup a budget for your Facebook ad campaigns, it could be a good starting point for you. The article covers setting up a basic two ad campaign: one to a blog post then a second retargetting readers of the blog with a lead magnet. What makes it interesting is the article starts with asking you to determine a revenue goal, then drills into how to use Facebook's analytics to determine a budget for your ads once you have some test data. I need to re-read this one as it's pretty deep. The article breaks down all of the different components that determine the cost of an Instagram ad. I've run a decent amount of Facebook ads testing and learning different techniques but haven't focused on Instagram yet. Something I'll be looking at as I plan launches for later this year.